McNICOLL, HELEN GALLOWAY, painter; b. 14 Dec. 1879 in Toronto, daughter of David McNicoll and Emilie Pashley; d. unmarried 27 June 1915 in Swanage, England. The eldest of eight children and deaf from a childhood bout of scarlet fever, Helen McNicoll was an artist known for her plein air, Impressionist style of painting. About 1885, after her father had become general passenger agent of the Canadian Pacific Railway, the family moved from Toronto to Montreal; by 1903 David McNicoll would be first vice-president of the CPR. Helen began her first serious art training under William Brymner* at the Art Association of Montreal. Brymner’s advocacy of outdoor painting and the Impressionist style clearly would play a critical role in her development as a painter who, an obituary would note, “in striking contrast to the prevailing type of feminine painter constantly applied herself to new problems of light, line and beauty.” Unlike her contemporary Emily Carr*, McNicoll enjoyed financial security and, as one critic observed, “was not obliged either to potboil or make extravagant bids for attention in order to secure a living.” From 1904 to 1906 she pursued her studies at the Slade School of Fine Art in London and at St Ives, Cornwall, under Algernon Mayow Talmage. Afterwards she took a studio in France. There, according to a contemporary Montreal newspaper, she worked “incessantly . . . taking tours through the countryside for fresh material.” The first public acknowledgement of her skill as a painter occurred in 1908, when at age 28 she was awarded the first Jessie Dow Prize for Painting from the Art Association of Montreal. She returned to England, where she shared a studio and painting expeditions in Yorkshire and London with her close friend, British artist Dorothea Sharp. A member of the Royal Society of British Artists and vice-president of the Society of Women Artists, Sharp may have played a role in McNicoll’s election to the Royal Society of British Artists in 1913. The modernity of McNicoll’s high-keyed palette and painterly style was not universally accepted by the Royal Society. Writing to her family, she recounted that “the older members . . . didn’t like my things,” but another member had said that “it will be a bitter pill for some now that . . . [Helen McNicoll] is elected.” Between 1913 and her death two years later McNicoll exhibited 11 paintings with the Royal Society of British Artists. In 1914, at age 34, McNicoll was elected an associate member of the Royal Canadian Academy of Arts. Throughout her sojourn in England and Europe, she had continued to exhibit annually with the Royal Canadian Academy and with the Art Association of Montreal. 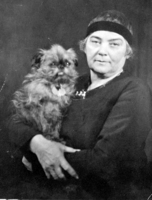 The Art Association would exhibit her paintings posthumously in 1922 and 1925. Her sudden death from diabetes at age 35 was a loss noted in Saturday Night and Beck’s Weekly (Montreal). No memorial exhibition took place until 1925, however, when the Montreal Museum of Fine Arts mounted for one week a retrospective exhibition comprising 141 paintings and sketches drawn primarily from the collection of the McNicoll family. In 1970 the Granite Club of Toronto arranged an exhibition and in 1974 the Jerrold Morris Gallery in Toronto offered 28 works from the McNicoll estate. Primarily a painter of working women and maternal themes in outdoor settings, McNicoll drew her subject-matter from the tradition of Impressionist women painters such as Berthe Morisot and Mary Cassatt, while acknowledging the “new woman” of the modernist age. Works such as Under the shadow of a tent (c. 1914) and Young mother in the shade (c. 1914) are especially effective in representing intimacy and bonding between women and the changing representation of maternity. A reviewer in the Family Herald and Weekly Star noted that “her style is broad and simple and she follows the modern school of sunlit effects without any affectation, but absolute sincerity.” Contemporary women artists such as Florence Carlyle, Laura Muntz Lyall, and Emily Carr serve to position McNicoll’s art within the broader community of serious female artists whose exploration of female experience, nature, and techniques of painting have been largely marginalized within the history of Canadian art. 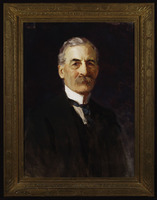 Paintings by Helen Galloway McNicoll are found in the National Gallery of Canada (Ottawa) as well as in the following institutions: Art Gallery of Hamilton (Hamilton, Ont. ), Art Gallery of Nova Scotia (Halifax), Art Gallery of Ontario (Toronto), Beaverbrook Art Gallery (Fredericton), Confederation Centre Art Gallery and Museum (Charlottetown), Robert McLaughlin Gallery (Oshawa, Ont. ), McMichael Canadian Collection (Kleinburg, Ont. ), and Montreal Museum of Fine Arts. AO, RG 80-2-0-139, no.39268. Family Herald and Weekly Star (Montreal), 12 April 1913. A dictionary of Canadian artists, comp. C. S. MacDonald (7v. to date, Ottawa, 1967– ). J. [M.] Gualtieri, “The woman as artist and as subject in Canadian painting (1890–1930): Florence Carlyle, Laura Muntz Lyall, Helen McNicoll” (ma thesis, Queen’s Univ., Kingston, Ont., 1989). Helen McNicoll; oil painting from the estate, November 16th–30th, 1974, intro. Joan Murray (exhibition catalogue, [Jerrold] Morris Gallery, Toronto, ). Montreal Museum of Fine Arts, formerly Art Association of Montreal: spring exhibitions, 1880–1970, comp. E. de R. McMann (Toronto, 1988). Royal Canadian Academy of Arts: exhibitions and members, 1880–1979, comp. E. de R. McMann (Toronto, 1981). Saturday Night, 10 July 1915: 13. Natalie Luckyj, “McNICOLL, HELEN GALLOWAY,” in Dictionary of Canadian Biography, vol. 14, University of Toronto/Université Laval, 2003–, accessed April 24, 2019, http://www.biographi.ca/en/bio/mcnicoll_helen_galloway_14E.html.